Slowed circulation, particularly to the legs and feet, is a common consequence of a host of medical conditions, including diabetes, atherosclerosis, and peripheral artery disease (PAD). Your body needs blood to provide oxygen and nutrition, and reduced blood flow can lead to pain and cramping and make it harder for your body to heal itself after injuries, so it’s best to do what you can to get it pumping again. Maintain a healthy weight and eat a healthy diet low in calories and saturated fats. Exercise regularly—try starting with 30 minutes of walking 3 times per week, and increase as you are able. If you have diabetes, manage your blood sugar. Use medications if necessary to manage high blood pressure or cholesterol. 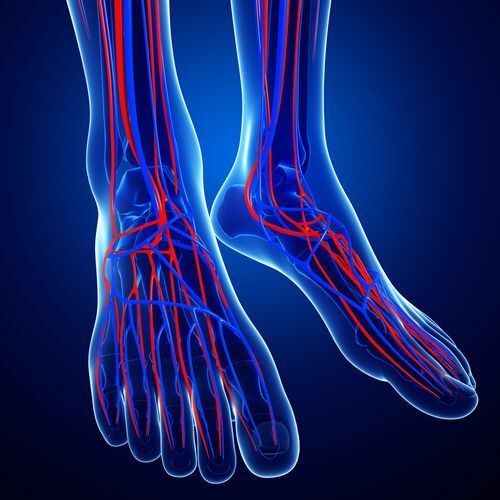 For help dealing with a painful or problematic circulatory condition affecting your feet or legs, call the experts at Carolina Podiatry Group for an evaluation and treatment options. You can request an appointment online, or call 888-569-9559.